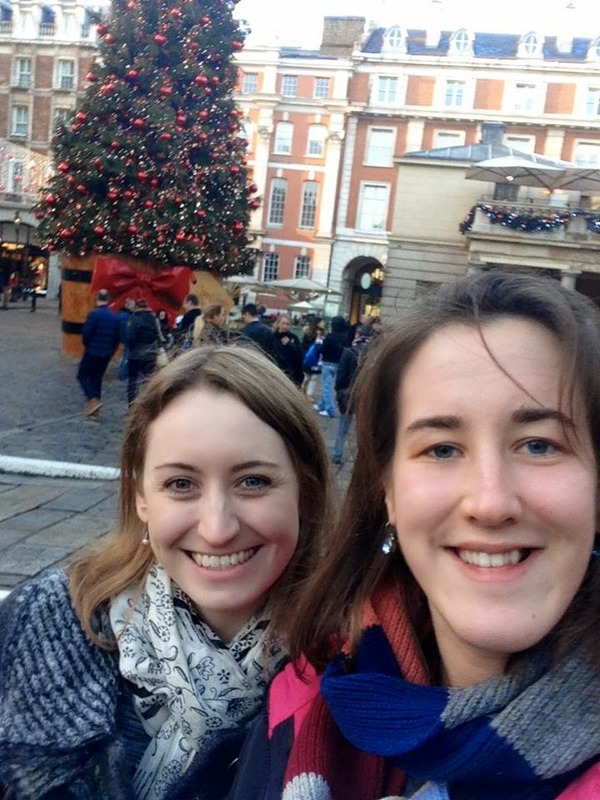 A great friend of mine has started to write a very honest, moving and eloquent blog. 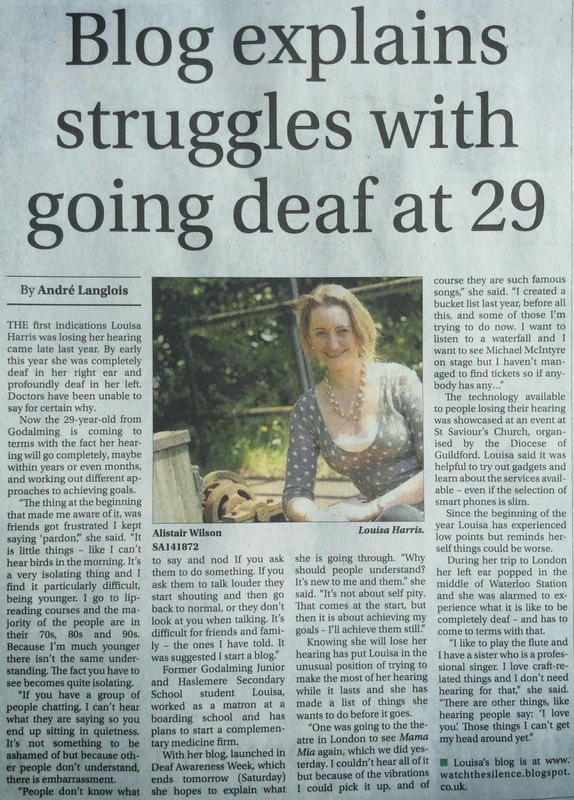 She is 29 and is losing her hearing. It will eventually lead to total deafness. Can you imagine that? Suddenly waking up in the morning and realising that you can't hear the birds sing or always needing to ask people to repeat themselves? At 29 years old. Not 92. Not 82. Not 72. 29 years old. I can't. And I am in awe of Louisa for taking this all in her stride. Nobody deserves this but she definitely doesn't. When she emailed to tell me this news, I was truly horrified. And angry. Why should someone so young and special be faced with something like this? We are going to my favourite bakery CocoMaya for Cocodoughs (Cronuts) next week. And we are going to have tea and scones in Fortnum and Mason. Yes - we are doing BOTH just because...We don't need an excuse. We won't need our hearing to taste the deliciousness of all that. In fact, I wonder if it will make us concentrate more on the other senses including taste? Her blog is called Watch the Silence. And she was in her local newspaper today. Do have a read.